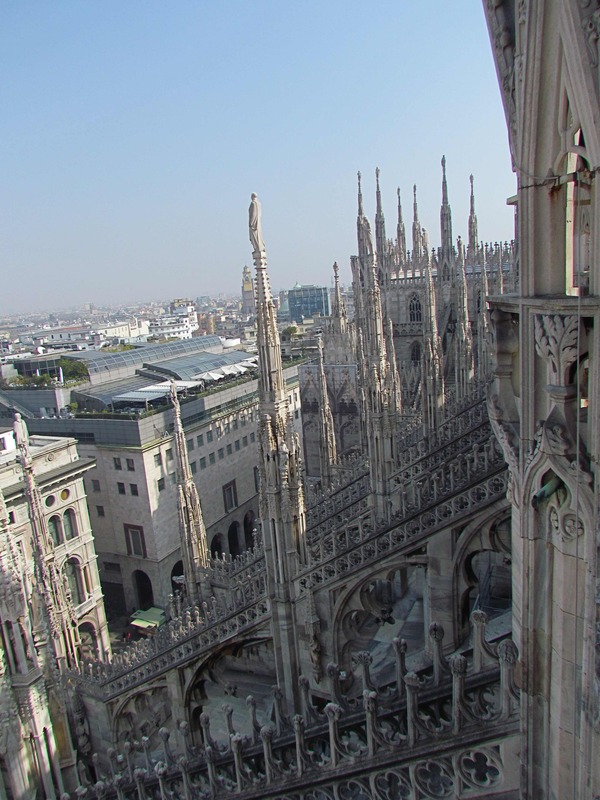 It took 500 years to complete the great Duomo of Milan, and there’s one vantage point that really helps you understand why: the roof. 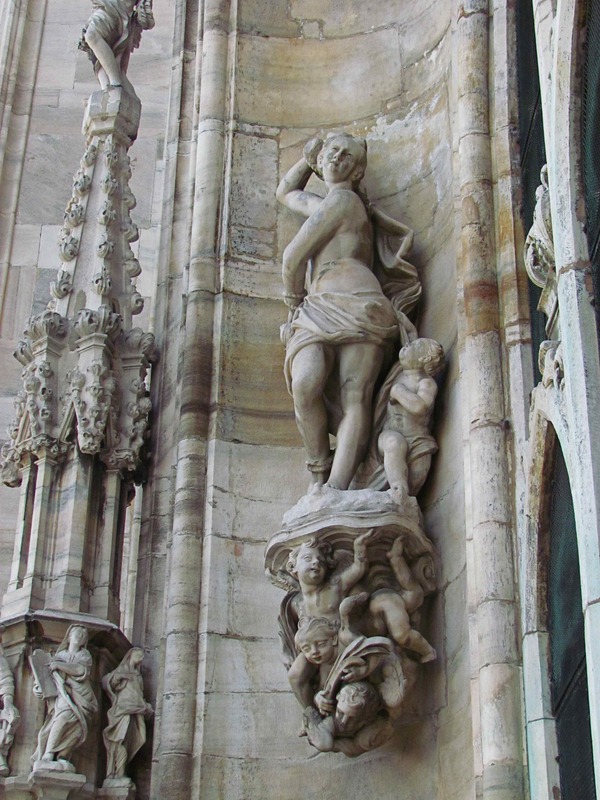 The amount of sculptural detail that went into the top of the building – where, initially, it was presumably intended only for the eyes of God – is an incredible testament to faith. Whether you personally have any or not, it’s a very moving thing to see. My daughter Rachel was recently in Milan and she took these shots. If you should find yourself there and trying to decide what you ought to see, make this one of them. Yes you can literally go up on the roof. Not recommended if you suffer from vertigo. 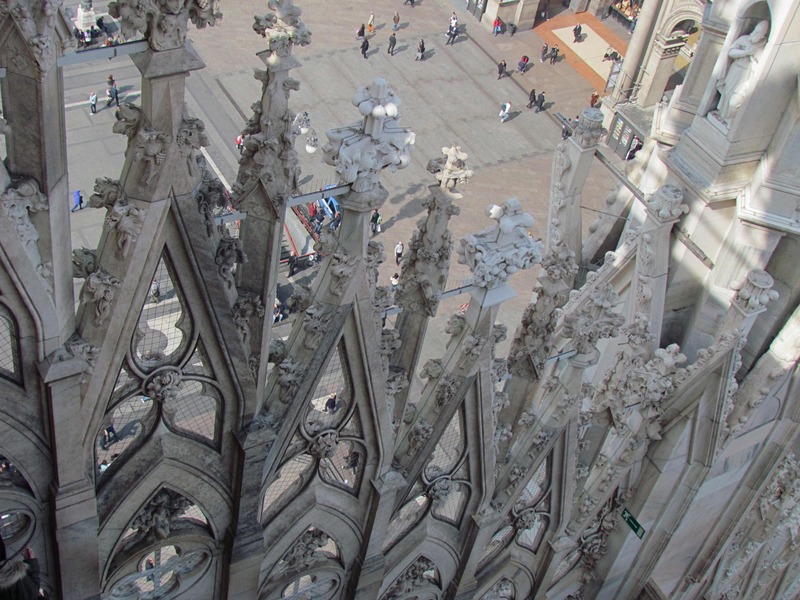 A bevy of saints stand atop the spires, looking out over Milan. 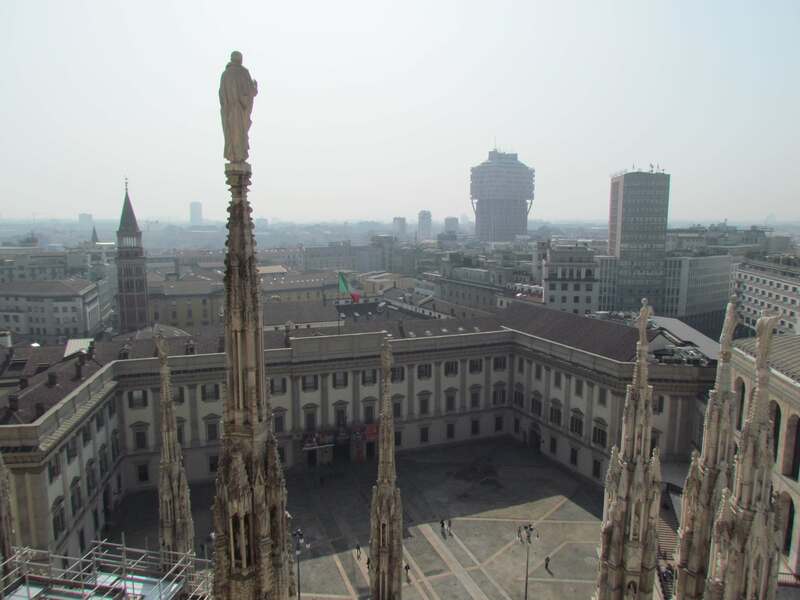 The patron saint of Milan's perpetual smog? When we lived there we called it 'the Po valley funk'. 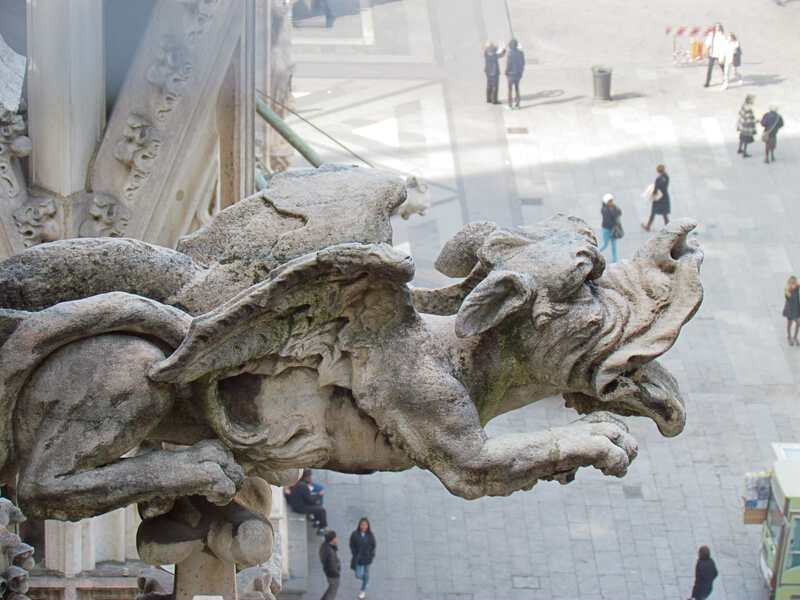 That's the Palazzo Reale below. 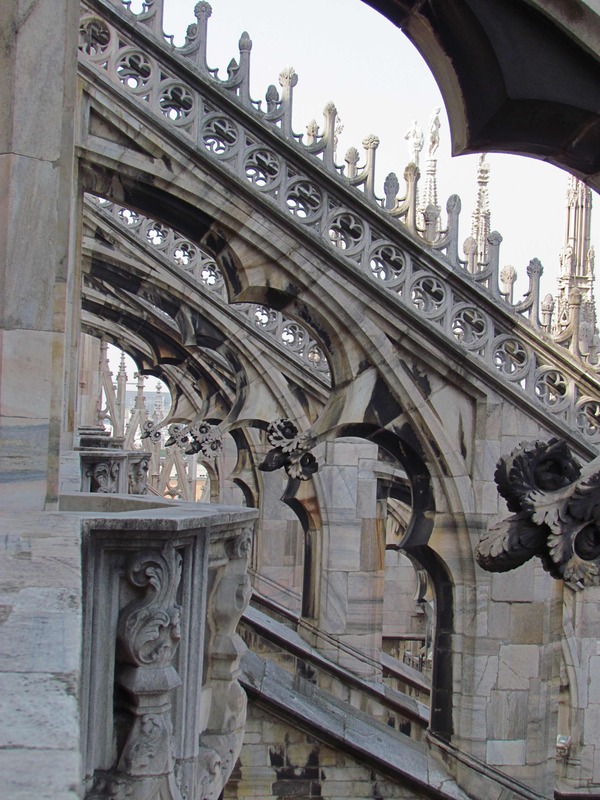 Magnificent detail in the buttresses. When it rains, they spit. One of thousands of gestures of faith; no wonder it took 500 years. If I only had one thing I could do in Milan this would be it. And it’s not well known. I hope you get there! It is amazing up there isn’t it. I love Milan! It’s not Italy’s most beautiful city but it certainly has many wonderful charms when you know where to look. I love Milan. Not everyone does I know but the energy is undeniable. Thank you Shelagh – and Rachel! I love the spindly spires and the colour of the stone. The huge Duomo is really quite delicate at heart! 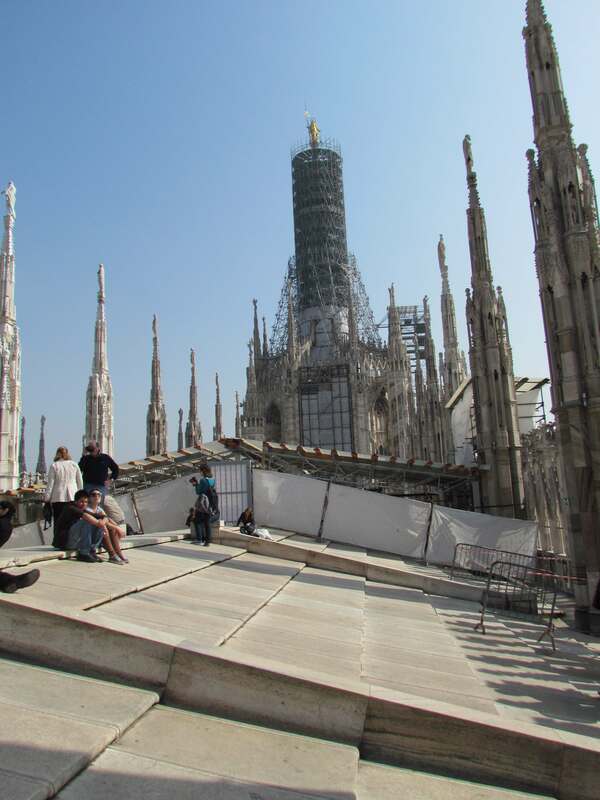 They cleaned the whole exterior of the Duomo a few years back and the change was incredible. I’d always thought it was made of dark grey stone!